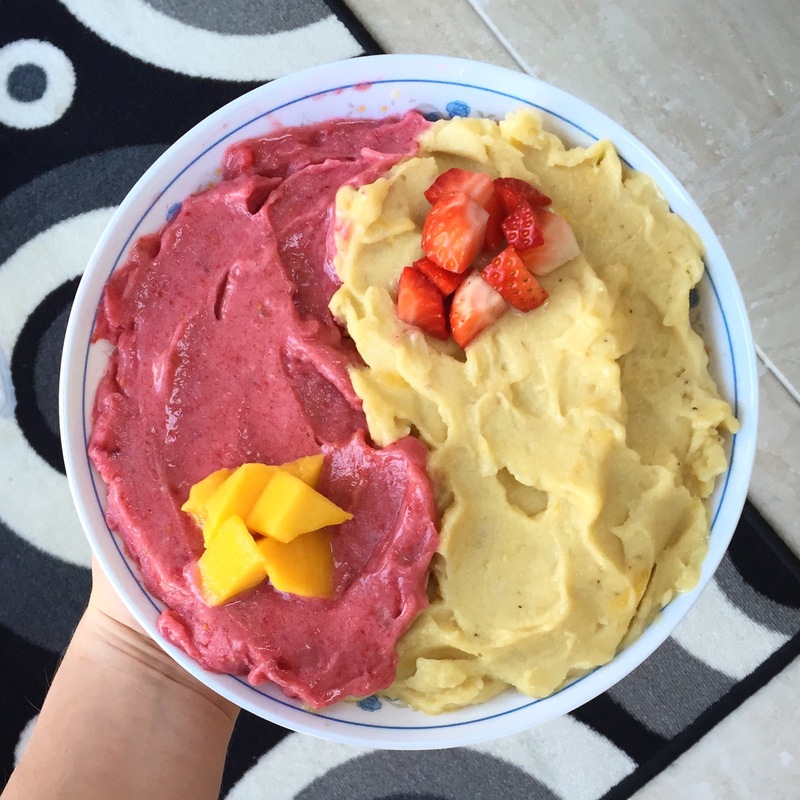 Add 2 frozen bananas to your blender along with the ingredients for your chosen flavour and blend with milk if needed. 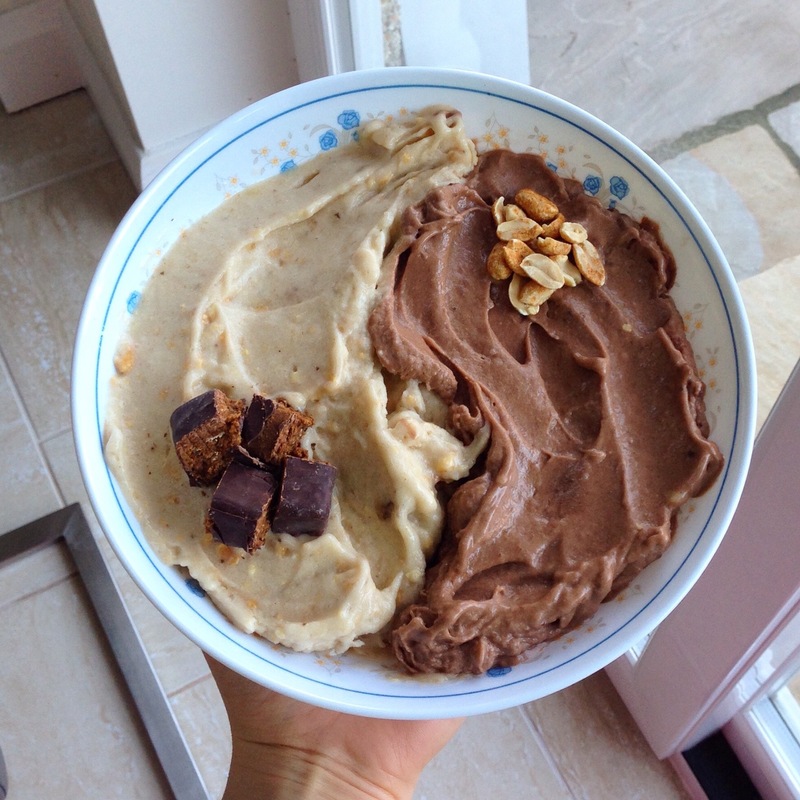 Scoop nana ice cream into a large bowl and push the mixture to one side so that it occupies only half the bowl. Place in the freezer as you blend the second flavour. 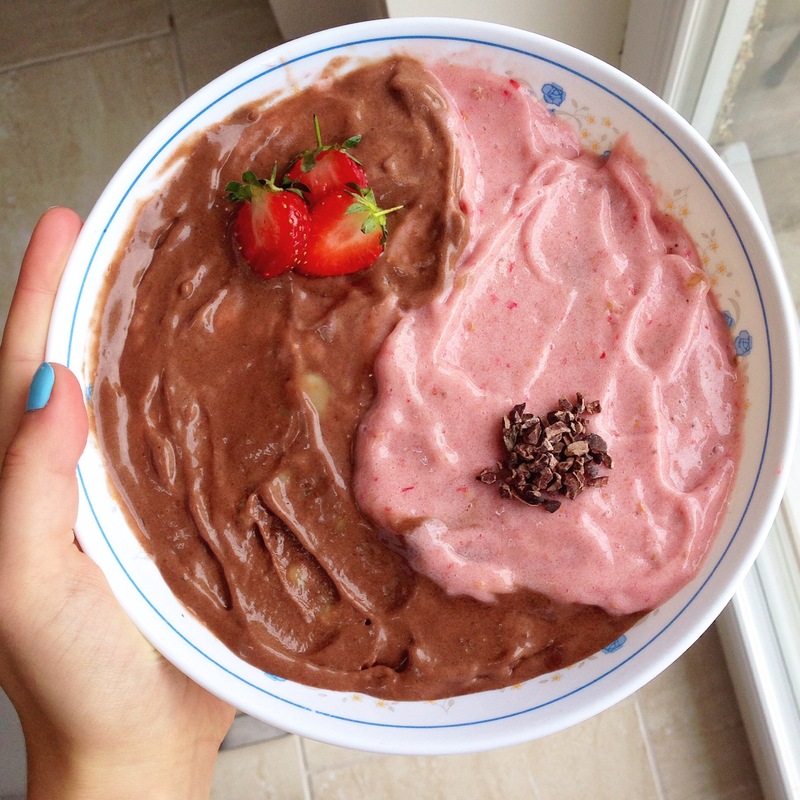 Add 2 frozen bananas to your blender along with the ingredients for your second flavour and blend with milk if needed. Scoop nana ice cream into the large bowl so that it occupies the other half of the bowl. Place in the freezer as you wash/ prepare your toppings. 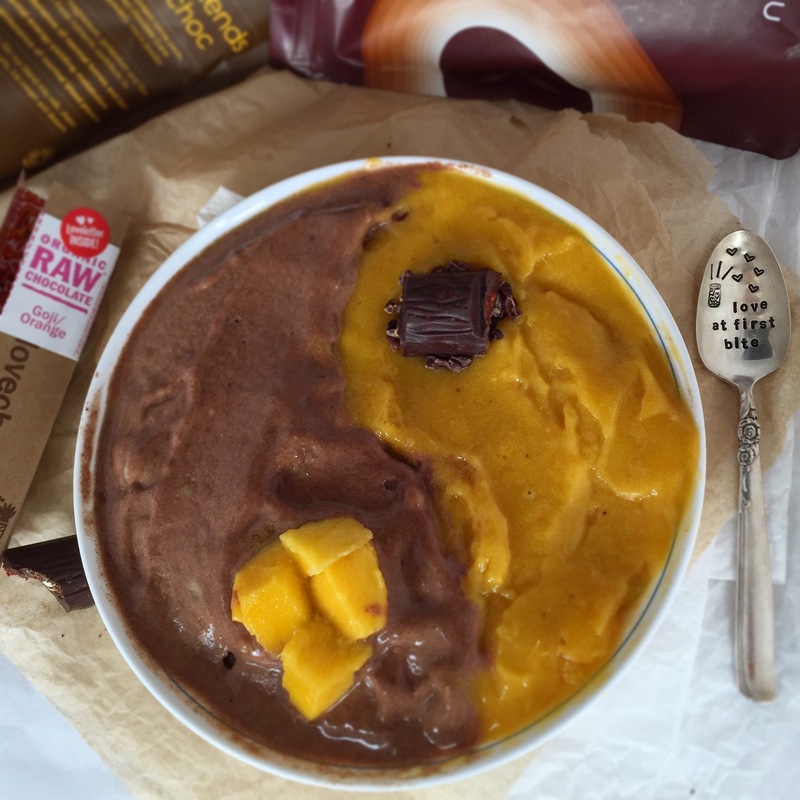 Remove the nana ice cream from the freezer and carefully sculpt the two halves so that it forms the ‘yin and yang’ symbol. (I find that it helps to look at a picture of it even if you are sure of what it looks). 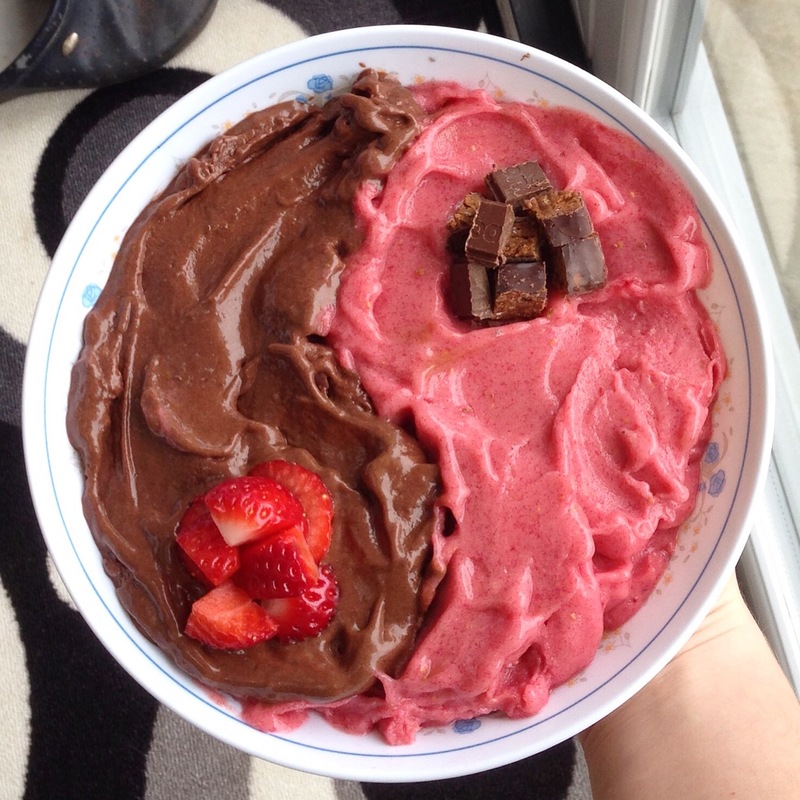 Add each topping to the contrasting nice cream swirl and enjoy!